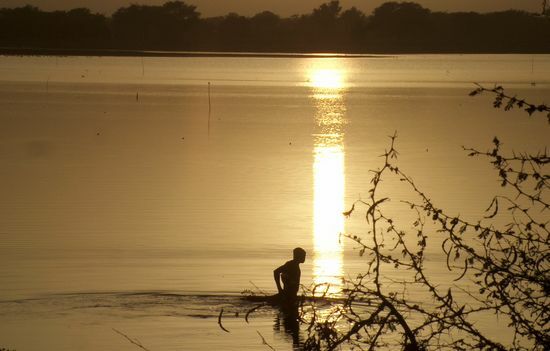 Saturday evening at the barrage lake of Ouahigouya. On the dam, we were trying to test our siphon to send water out of the lake towards the gardens behind the dam. Unfortunately, we did not succeed. But luckily the sun was setting when a fisherman offered me the picture of the week. From February to April, too many tomatoes are being produced: farmers hardly get anything for them. 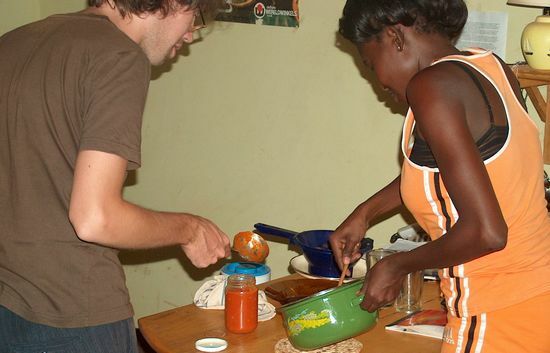 Hence Safi, Kini and I are experimenting to transform them into tomato ketchup, tomato puree, and tomato marmalade. Thirty peasants from five villages where OCADES supports vegetable growing activities left on exchange visit to Noungou. 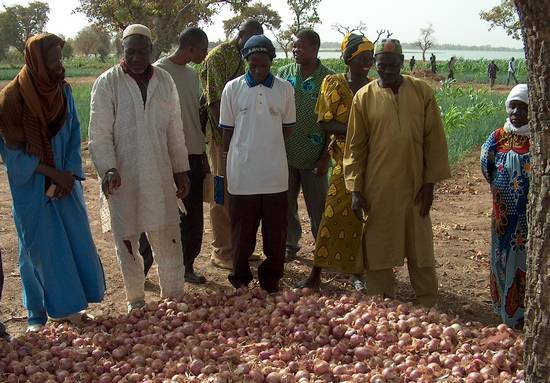 For years, the farmer association Teel Taaba at Noungou is doing research on how to improve the gardens' soil fertility and how to store the bulbs. The latter is very important, as current harvest time prices are about 3,000 F (5 euro) for a 100 kilo bag, whereas they skyrocket up to 50,000 F (80 euro) in September and October. 'There is a time to come and a time to go.' This postcard hangs on the wall of our house for almost two years now. For Heleen, the time to go has come. Nothing lasts forever. 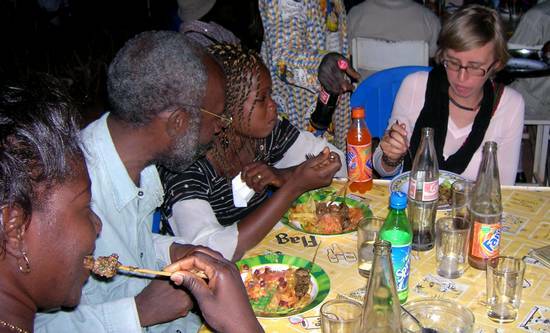 She leaves Burkina Faso to take up other challenges… Read more. 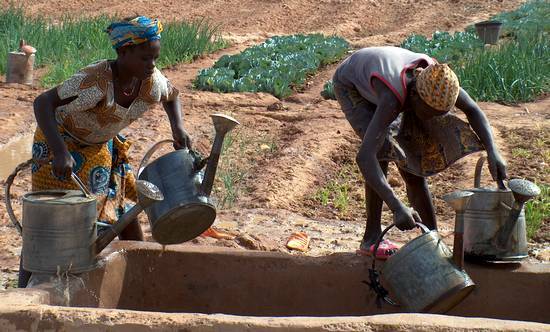 Two girls fill their watering cans in the water basin of Tougué village's vegetable garden. This is the last bit of muddy water of the season, as the barrage lake is running dry. The producers that have not respected the production calendar, will have to cope with water shortage… the others already harvested.